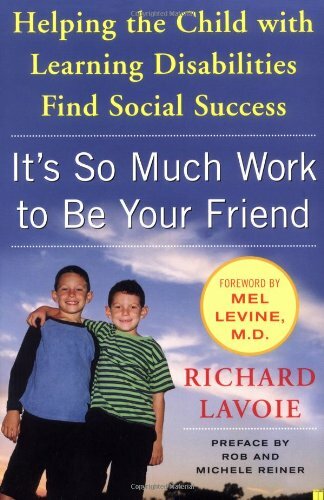 A few weeks ago, I wrote a review of the book It’s So Much Work to Be Your Friend by Richard Lavoie. I absolutely love this book, and I wanted to focus in particular on one of his interventions that can help kids learn from their social errors in the moment - The Social Skill Autopsy. Addressing a social misstep and using it as a teachable moment is a great way to help kids identify what went wrong and what they could try again the next time. WHAT IS A SOCIAL SKILL AUTOPSY? A social skill autopsy is a supportive way to solve problems and can be done by any adult in a child’s life. The child is actively involved and it’s most effective when done immediately after the social error. It is not a punishment or a time to judge or blame. It’s also not a one time fix so they never have to work on that skill again. If a child is struggling with social skills, it takes practice and they’ll need support and scaffolding to continue to build on and improve these skills. Ask the child to explain what happened - Have them explain in their words what happened, and don’t judge. Let them finish without interruption. Ask the child to identify the mistake they made - What the child might identify as the mistake may actually not be the mistake. They may not even be able to identify what error occurred. You, as the adult guiding the social autopsy, need to help them figure out the mistake they made, which is step 3. Assist the child in determining the actual social error he made - You help the child identify what the social error was and what could have been done differently. Try not to use the word should. Using could instead of should will help kids realize that there are multiple options in social situations. Create a brief social story that has the same basic moral or goal as the social faux pas. Social Homework - this is important to ensure the child starts to internalize and apply these skills. Give the child the task to use the skill in another setting and report back to you when they did it and how it went. It doesn’t have to be a long process, but using that teachable moment to discuss the issue, figure out where things went wrong, and come up with alternatives will help those kids who struggle in social situations. Have you ever done a social skill autopsy? Older PostWhat is a good friendship?